This was my first mix for a couple of years, so something of an exploration of my music collection…going through unsorted vinyl and files from a corrupted hard disk. I’ll post a tracklisting soon. I made this for Paul Chivers on his 50th birthday. Opens with some random electroacoustic stuff, David Bowie(?) and a synthesiser 12″ from Nonesuch, which I’ve just realised was sampled by Luke Vibert on Big Soup. Bits of Charles Ives pieces (the beep on one indicates changing slides during performance)….Fragments of Themroc and other movies throughout..BBC sound effects…obligatory birdsong section runs into Parmegiani…I have no idea what the last two charity shop records are. This mix represents some of my interests in percussion, guitars and electronics, trying to get a feel for an aesthetic by throwing tracks together: Balinese Gong Luang, Lucier’s Music for Solo Performer, Pleiades by Xenakis, Parmegiani, Sonic Youth, Pigface, This Heat, Joko Purwanto (musicians from ISI Solo). 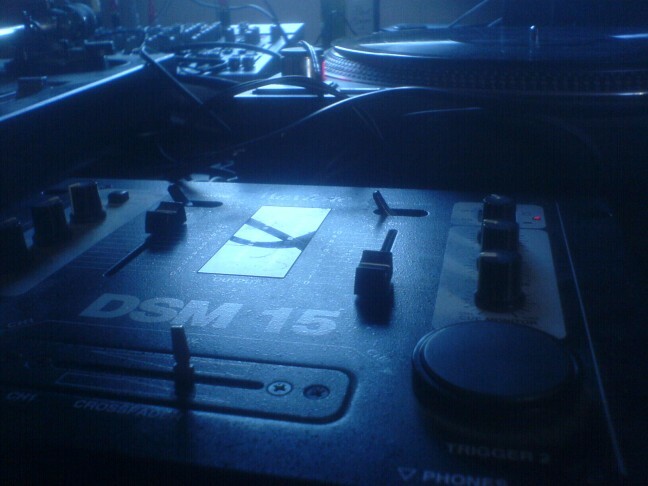 First of a trio of mixes recorded in December 2006. Live feedback, runout grooves and locked grooves by Serocell, Lucier’s gamelan piece, some drones I don’t recognise….Parmegiani’s Les Monstres…BBC sound effects…Schaeffer creeps in through gunshots…Luc Ferrari, more feedback and some other electronic pieces. The mix concludes with several vocal tracks played at once.